Hollywood veteran John Travolta has revealed that working with Fred Durst on 'Moose' was his "favourite experience"
John Travolta says working with Fred Durst on 'Moose' was his "favourite experience". The 64-year-old actor stars as a movie fan obsessed with his favourite celebrity action hero in his latest role, and he's admitted to relishing the experience of working with the Limp Bizkit star, who co-wrote and directed the project. Speaking about working with Durst, Travolta explained: "It was maybe my favourite experience I've had." The Hollywood icon hailed Durst's generosity, describing him as a true "artist". Travolta told TMZ: "He allowed me to create a character that no one else would allow. "It's really a wild character and I felt very free to do that." No release date has yet been announced for the movie, but Travolta explained that Durst has already edited the film in his own mind. The veteran star said: "He already edited this film in his imagination so he knows how he's gonna put it together." Meanwhile, it was recently announced that Travolta's new 'Gotti' biopic will be released in June. The film was dropped by Lionsgate just days before its release last year, but Kevin Connolly took to Instagram in March to announce the film has got a new release date. The filmmaker wrote: "June 15th!!! Save the date... #Gotti (sic)"
The biopic follows ill-fated mobster John Gotti (Travolta) who rises to the top of the New York underworld to become the boss of the Gambino crime family. 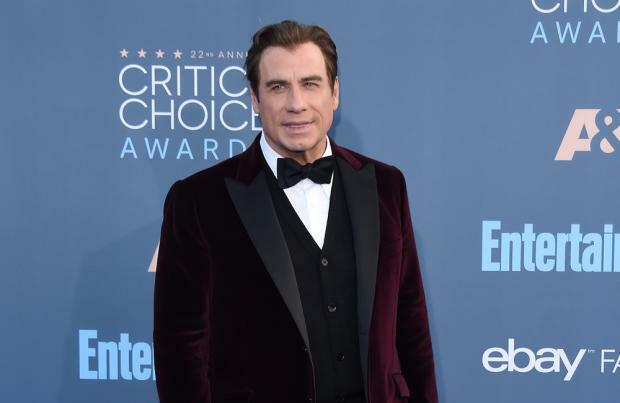 Travolta plays the famous mobster alongside his wife Kelly Preston as Victoria Gotti and Stacy Keach as Aniello Dellacroce.